William Pitt's final words here made him immortal. Description: This is where the former Prime Minister William Pitt The Younger (17591806) lived and subsequently passed away (it was then 14 York Place). But he didnt pass before uttering some of the most infamous last words I think I could fancy one of Bellamy's veal pies. Although some sources say it was mutton he muttered. 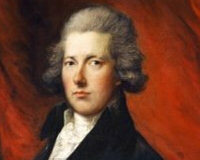 He is known as William Pitt the Younger to distinguish him from his father, William Pitt the Elder, who also served as Prime Minister of Great Britain.